Blocking pipes, tubes, dams, inlets, storage tanks and manholes has never been so easy with the Pipestoppers® Rubber Plugs. 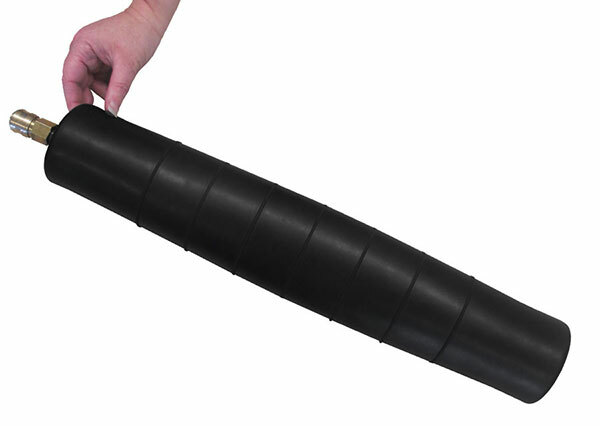 They are manufactured in sizes 1.5 – 78” (35 m – 2,000 mm) and can be inflated quickly to working pressure and are also resistant to most hydrocarbon gases and liquids. Inflation can be carried out with a compressor and they can be inflated with a hand or foot pump too. Each plug is manufactured from high quality rubber, comprising a mix of styrene, butadiene and isoprene. They are resistant from -40ºC to 70ºC and can be immerged in oils, hydrocarbons and petrochemicals.